Available for only $ 40.00 additional per 13' X 13' unit. Information you should know regarding your Jumper Rental! there will not be any refunds or discounts once the unit (s) has been delivered and installed. Please follow all safety instructions posted in the unit. for $ 200.00 at the time of reservation. We accept: Cash, Check (with credit card back up),American Express, Visa and Master Card. If you need to cancel your reservation just give us a call, there is 20% cancellation fee if cancelled 24hrs prior to delivery. However, if your cancellation is due to rain, this fee will be waved. delivered with your jumper at an additional charge. 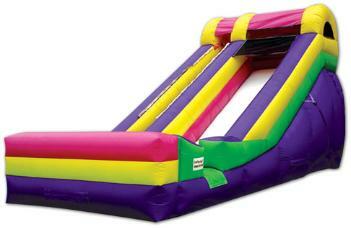 You should have an area about 15' x 15' with a vertical clearance of about 20' for Small jumpers, see informations for large slides on slides page we can set up on grass, Concrete and asphalt. generator to be delivered with your jumper at an additional charge. 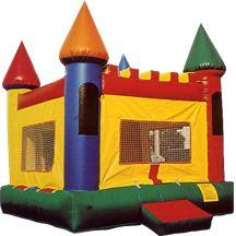 Jumpers are rented for a maximum use of 8 hours, there is a $15.00 per each additional hour. There is a minimum delivery and pick up time window of 60 minutes Before and after your requested delivery time. There are no discounts for less than 8 hours of use. there are no refunds after the unit has been delivered and installed. invoice must be paid and waver signed before the unit is installed. Driver does not carry change, please have exact amount if paying cash. Price includes FREE local delivery and set up.